Discussion in 'Effects, Pedals, Strings & Things' started by Ruiner, May 10, 2016. So this is probably one of the coolest new effects day i've had for multiple reasons. A long time ago i purchased the Retro Mechanical Labs Electron Fuzz Custom and loved it. I went to his website and saw all the amazing looking and sounding work John was doing. I had to have more. So I ordered three of his stellar wooden box effects! 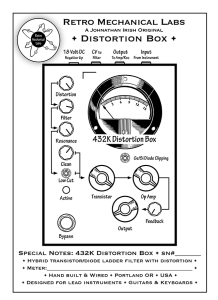 The first one to arrive is the Jekyll and Hyde “JnH” Dual ladder filter distortion box. "100% analog. One transistor ladder filter. One diode ladder filter. Both with pre and post overdrives, slow drifting LFOs and additional signal clipping for each filter. Dual filter version can be run as dual mono or mono to stereo." There's not a lot of demos of this online. I'll post some clips when i get a chance to play with it. It just arrived and first of all the packaging is awesome! What care and attention to detail. Then the box itself is just absolutely beautiful. When i get home i'm going to try it on guitar, drums, bass and synths and see what happens! The best part is I still have two more effects coming from him soon! I'll add those to this thread as they come in for anyone interested. j.s.tonehound, PurpleJesus, kor and 4 others like this. Badass. I'm a little confused by the controls, but it looks like it could be used as a sort of stereo crossover with independent LFOs and distortion? Looks awesome. I love RML stuff so much. Gorgeous as ****. Dude shared some stuff on instagram that he whipped up some stuff for Aaron Turner the other day, including one of these. Too cool. His stuff is a work of art! I've thought about one of these but they aren't cheap and like you said, there aren't a many demos of it. Looking forward to any clips you might be able to post. I also have a 432k coming which is geared more towards guitar... maybe not geared towards it but definitely more of a pedal (has a footswitch) where the JnH isn't meant for guitar it seems...... though i'll be using it with it! ellsworthman and kor like this. 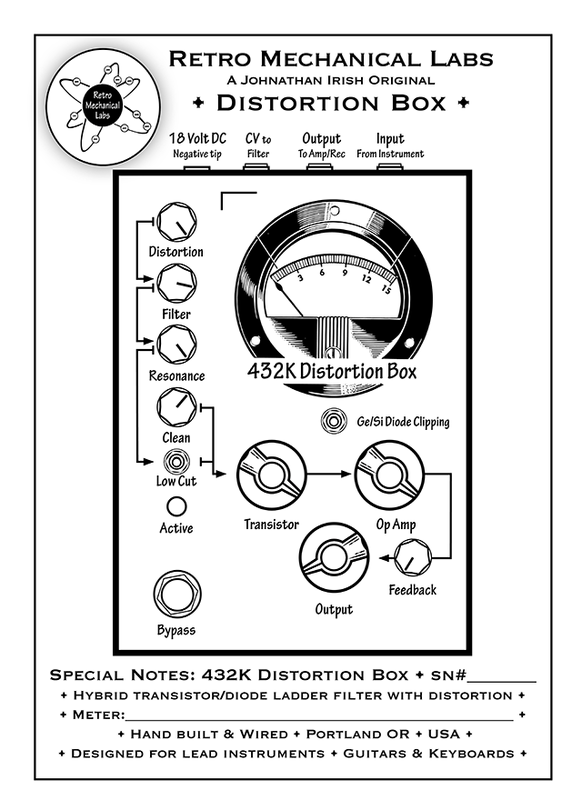 "The 432k Distortion box is all about signal routing. One distortion circuit with an active hybrid diode/transistor ladder filter (with resonant feedback) for tone control. Another with a clean pass signal. Both signals are merged together and “glued” through a transistor drive and op amp style fuzz. A feedback noise circuit is added in for fun. Also equipped with CV in for filter control. ***Use a CV pedal to control the filter.